Since the reveal of the Nintendo Switch roughly one year ago, this title has been the most anticipated one next to the Breath of the Wild for the system to come out. 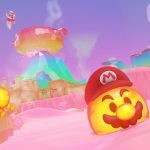 Especially, as Super Mario Odyssey takes the 3d Mario series back to its roots and makes exploration and vast open areas once again a big part of its gameplay. Now, does the game hold up to its immense hype? Let’s find out using our unique value-based review system! The plot of practically every single standard Mario game is as follows; Bowser kidnaps Peach and Mario goes on an adventure to save her. Is this true for this game as well? 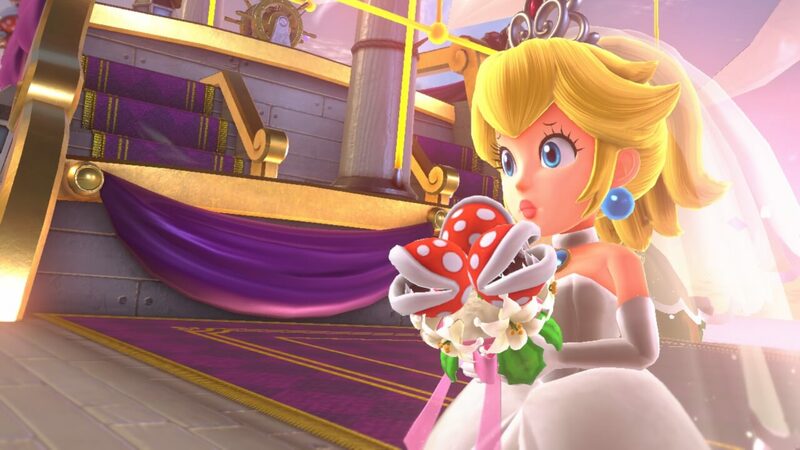 Yes, but now Bowser is also trying to marry Peach. 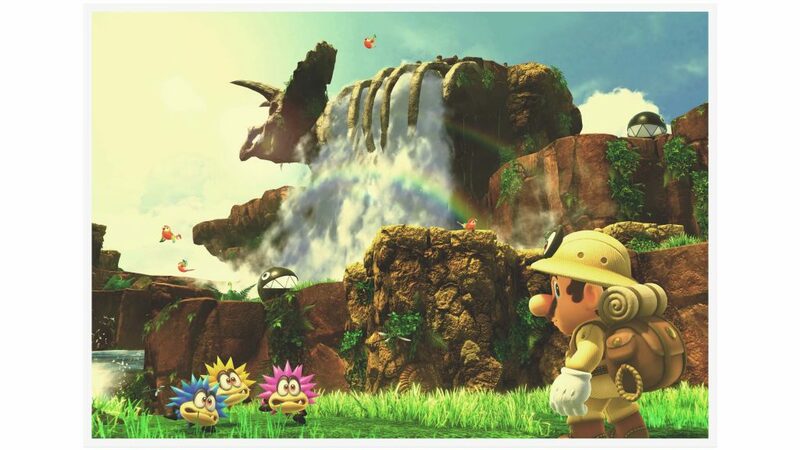 This brings Mario to team up with a sentient hat and go on an odyssey through multiple kingdoms. The story in this title is a bit more fleshed out than usual; there is definitely a reason on why you visit each kingdom and there are multiple cutscenes with dialogue, which is voiced in gibberish but subtitled. Overall, this is a welcome addition to the series as the world is given much more of a purpose than before. We’ll avoid going too much into detail in the story here though to avoid any possible spoilers. 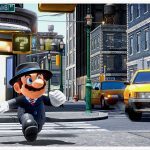 Now, the graphics of Super Mario Odyssey exceed those of any other Mario game beforehand, which is obvious given that this game runs on Nintendo’s latest hardware. However, great graphics are useless if the atmosphere of a game is lacking. 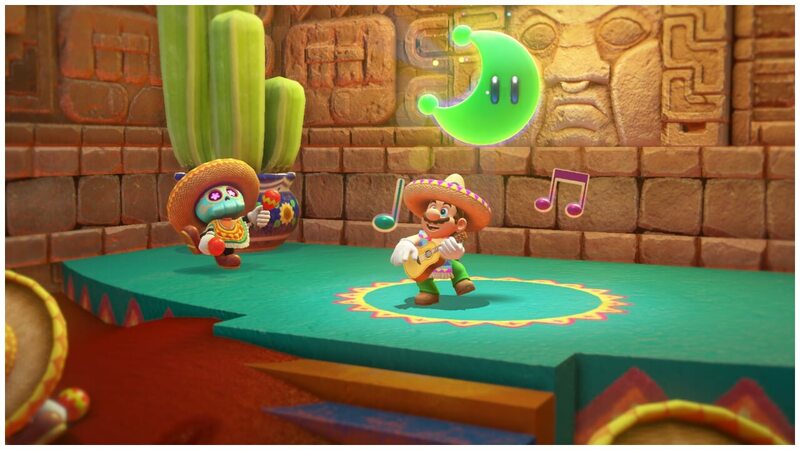 Super Mario Odyssey though is the definitive game when it comes to atmosphere. 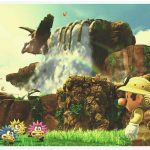 As the game has you playing through a variety of different kingdoms and hence landscapes, it has fantastic variety in its environment. 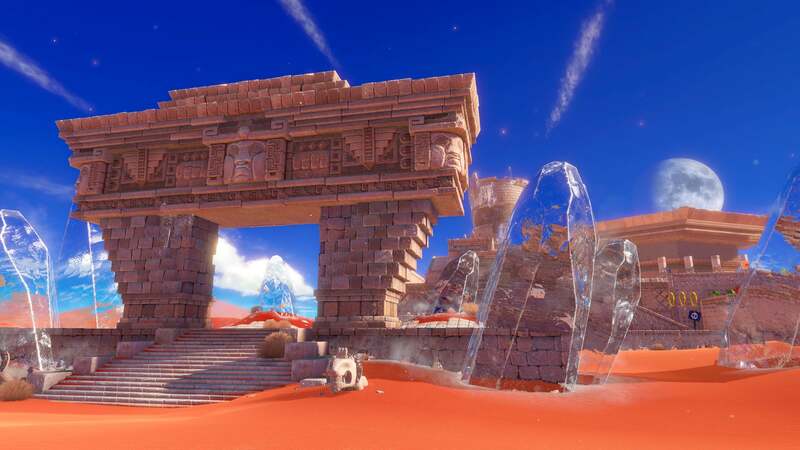 It even goes so far as to changing the artstyle and stylization of each kingdom, making each location truly unique. Atmosphere is more than just how varied the environment is; the environment also needs to have stuff in it. And here it can be said, each kingdom is full of things to see and stuff to do. Every single corner in the world has a secret to be found or a challenge to be completed. Just taking a first glance at the world makes you struggle to believe how much stuff was in it. But then we actually started to explore and our minds were blown. There were just so many challenges in it, which really sets a new standard in games for the amount of varied content placed in such an environment. The only thing that could be critized here is that the overall world feels smaller than it is since it is fragmented into many parts. It’s up to you to decide if this really bothers you. As per usual with Nintendo, the soundtrack of the game is great and is fitting for each location and situation. More intense music is played during more intense sections for example and you will therefore always be in the appropriate mood for the given context. Graphically, the game runs with a dynamic resolution in place. 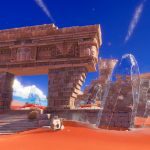 You will probably notice that some locations in the game will look blurrier or even worse than others, but overall it is worth it as the engine maintains 60 frames per second with only a few minor hitches. 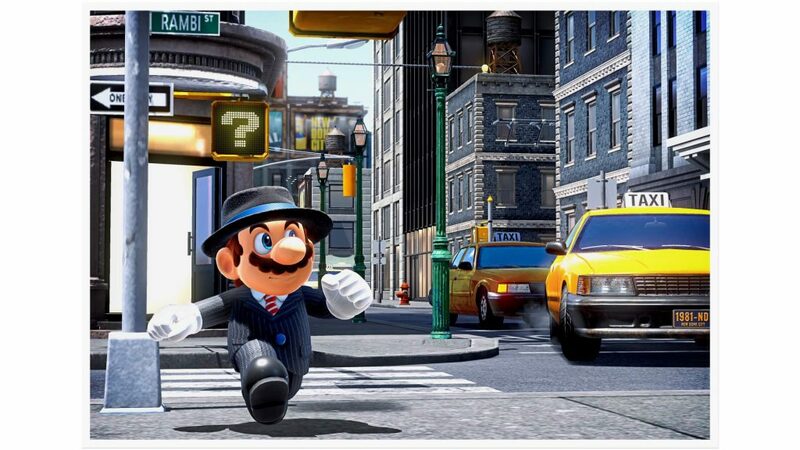 The most important aspect of a Mario game is how Mario moves in the world. 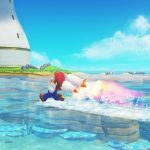 Instead of just being able to sprint and do a standard jump like in most other games, Mario is able to run, jump, triple jump, backflip, forward leap and walljump amongst other moves. This allows you to also enjoy the movement to and from objectives instead of just the objectives and Super Mario 64 is probably most fondly remembered because of that. People who played that game will instantly be familiar with the controls the moment they pick up Odyssey, as they are pretty much identical with the addition of some improvents. 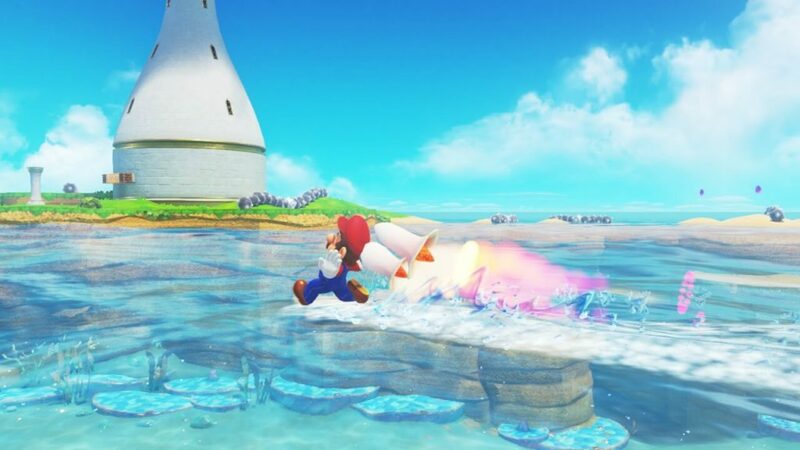 Mario’s time spent at the Olympics with Sonic has made him learn a thing or two from him as Mario is now able to spindash. This is yet another movement ability added onto his repertoire and makes him able to traverse hilly areas especially quickly. 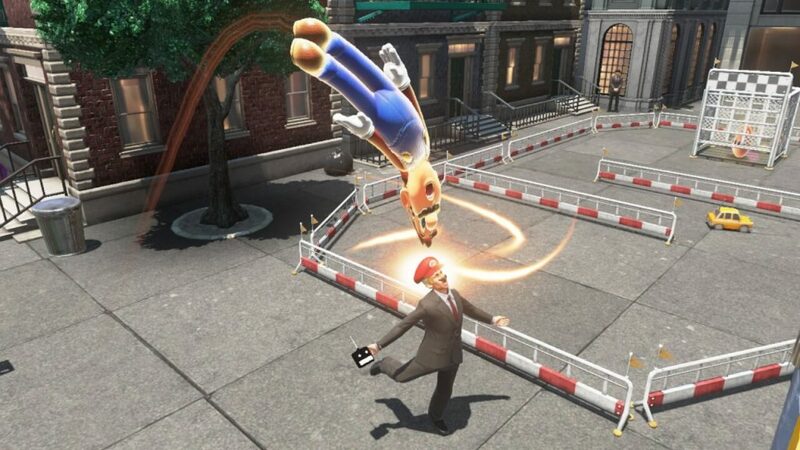 But there’s more, as Mario is now able to control other characters by throwing his sentient hat companion at them. 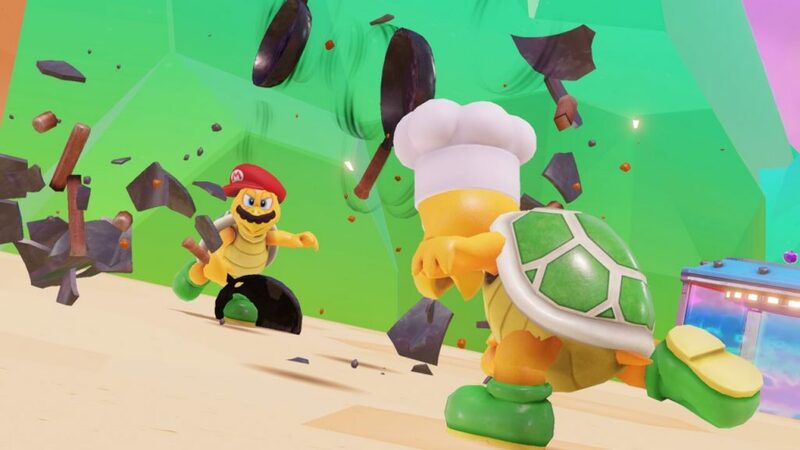 Mario can then make use of their unique abilities to advance and progress the levels. This is truly awesome, as this opens up just so many new gameplay opportunities, which makes this game feel so fresh. Controlling other characters is actually this game’s version of power-ups, which are present in other Mario Games most notably Super Mario Galaxy. 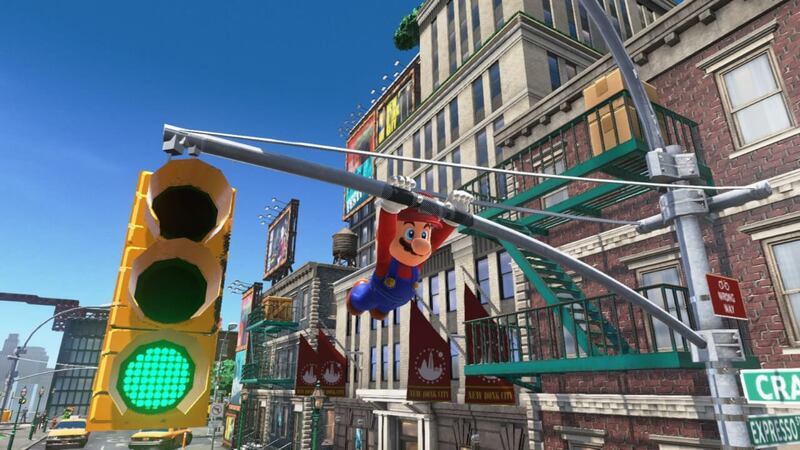 Mastering Mario’s diverse movement set ends up feeling extremely rewarding, as you’ll be able to reach spots you’d think the developers never intended you to get to. 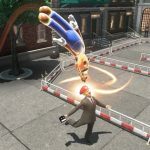 One thing that some people might criticise though is the use of motion controls in the game. However, since they just encompass shaking the controller a bit and you can go just fine without them, they really are ok in our book. Let’s move onto the general gameplay now. Your goal in each kingdom is to do a certain story-related objective and collect enough moons, to progress the story on the way. Moons are the power stars of this game and much like the doors in Super Mario 64, you always need a certain amount of them to progress further. In this game though once you have collected a moon, you continue on with the level right where you are being able to go for the next one right away. There are a lot of Moons in this game, a much much larger amount than the 120 stars in Super Mario 64, and it is fun going from one to the next. Like earlier mentioned, it always felt rewarding to go and explore as you’ll always be finding a new moon. However, as there are so many of them and you continue on from one moon to the next without any breaks, they feel a lot less important than the stars in the previous game. Getting a moon just for groundpounding a shining spot on the floor felt in a way tedious. Overall though, most moons always had a unique puzzle attached to them so it was always great to get them. We’ve already mentioned quite a bit how many challenges the game has, but the question if they are actually good remains. Rest assured though, they are great. Generally, they come in multiple forms. Most of them that are on the surface of each level have something to do with observation. You have to look around the area and piece the clues together. The strength of the game here is that without the game telling you what you need to do, it still allows you to piece together the solution with the tools and clues scattered throughout the level. Some challenges will require less observation but instead more requiring platforming skills from you. 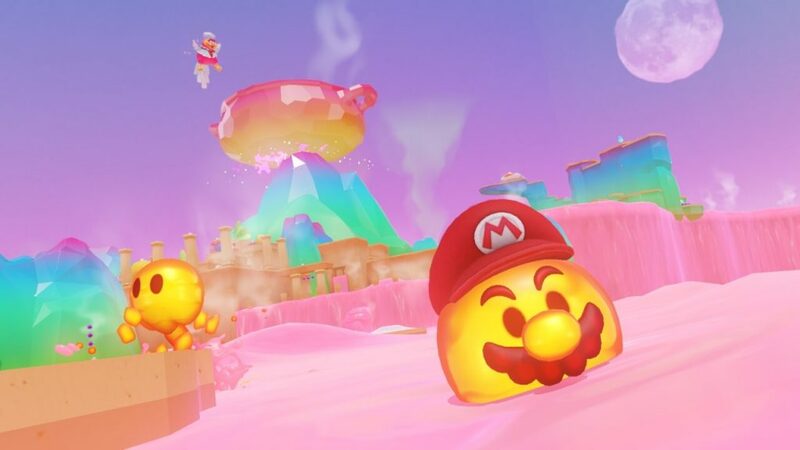 There are a couple of levels within the kingdoms which are quite like the ones in Super Mario Sunshine, where you are made to do a platforming challenge without Fludd, or a typical level in Super Mario 3D World. These require you to complete a single objective and are awesome intermissions from exploring the overworld. Doing these sublevels feel like a reward themselves, as actually finding them is already something that surprises you. This further adds to the fantastic variety the game has to offer. One thing that we’d like to mention here are the bosses. Once again, there is a great variety of them and they are superfun to beat like in previous 3d Mario games. However, the infamous three hits to kill the boss is getting quite tiresome as it takes away quite a bit of the suspense when you exactly know when the boss will go down. That is really all we wanted to mention about the bosses; look forward to fighting them! 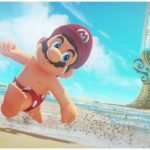 Super Mario Odyssey has gotten rid of the life system. Instead, you respawn at a last checkpoint if you die. The cool thing about this system is that it allows the game to become harder while still being accessible. As you can respawn indefinitely at a single checkpoint, less experienced players can try the same section over and over again more easily and more experienced players can enjoy a slightly more challenging game. This certainly seemed to be our observation. However, one can criticise the game for still being too easy. Every single collectible you get is saved the moment you get it and that is a bit weird when you have infinite lives. This means, you can simply suicide to obtain collectibles, which takes away quite a bit of their challenge. While the game has an easy mode for novice players, it would be nice if there could be hard mode too where you have to return safely to a flagpole to have your collectibles be saved. At Red Value Gaming, our review scores work a bit differently to others. Here we assign a game a value at which we think the game becomes worth buying in addition to a standard review score, which are both evaluated seperately from another. The traditional review score is pretty standard, but anything to do with the game’s business like microtransactions or the game being short is moved into the value rating itself. This allows our score to be a direct reflection on how good the game is, while the value rating will still be able to warn you if the game has any sort of sketchy business surrounding it. 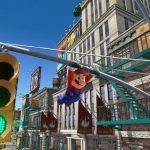 Super Mario Odyssey’s main playtime will get you to around 20 hours when playing at a normal pace. A completionist approach will get you quite a bit more as there really are a ton of things to done and found. 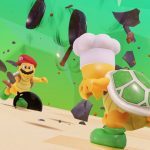 As you play a Mario game for the gameplay, the quality of the gameplay at the completionist level is the same as in the main game. Therefore, you should really consider playing this game to its fullest. The gameplay is after all extremely varied and the atmosphere of the game is gorgeous. There are microtransactions in the form of Amiibo in the game by the way but they are very unintrusive and leave the value unaffected. Further, the game makes great use of the Switch’s capabilities and allows you to play the game in Coop, which also adds value to the game. An options menu where you can set the sensitivity of the camera movement and turn the motion controls on or off is also available. Overall, this high quality prompts us to value the game at $55, since, while great, it is still considerably shorter than some other big games like Breath of the Wild. 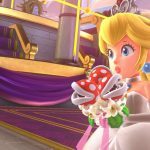 As Nintendo games only drop in price around 3 to 4 years after their release, you may as well just get the game now if you’re interested in it. 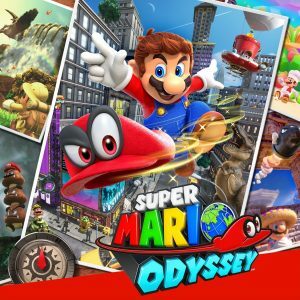 Overall, Super Mario Odyssey is a fantastic game and does the things it does extremely well. 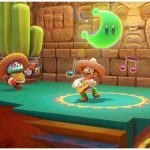 Nintendo seems to have gotten in a wonderful new direction lately and it shines through in their recent games. There is little to really criticise about the game, but experienced players would probably enjoyed a hard mode if this title offered one. This game has therefore earned a well-deserved rating of 95. 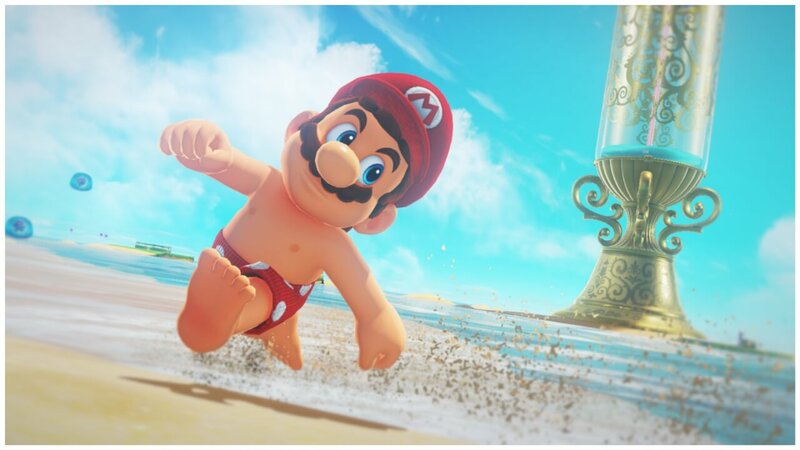 Overall, Super Mario Odyssey is a fantastic game that is really hard to put down. What makes the game so engaging is the well-executed gameplay that also has an absolutely insane amount of variety.